We have long held that leaving it to each sender/employee to properly enable encryption for each sensitive message (a.k.a “Opt In Encryption”) is too risky. Why? Any mistake or oversight immediately equals a breach and liability. Instead, LuxSci has always promoted use of “Opt Out Encryption,” in which the account default is to encrypt everything unless the sender specifically indicates that the message is not sensitive. The risk with Opt Out Encryption is very much smaller than with Opt In. (See Opt-In Email Encryption is too Risky for HIPAA Compliance). The problem is: many companies use Opt In Encryption because it is convenient when sending messages without sensitive information — you just send these messages “as usual,” without forethought. These companies are trading large risks in return for conveniences. LuxSci has solved the “Opt In vs. Opt Out” conundrum with its SecureLine Email Encryption Service. You could say that SecureLine enables the “Next Generation” of Opt In Email Encryption — combining both usability and security. TLS-Only encryption is great because it is seamless and it works, as far as the sender and recipient are concerned, just like regular email. The encryption is transparent and automatic. 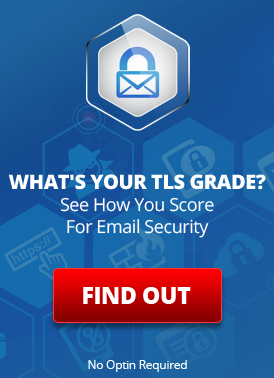 not all email providers support TLS yet. For highly sensitive information and for folks wishing to minimize risk as much as possible, there are better, more secure ways to send email. For example, three commonly used alternatives to TLS are: ( 1) the tried-and-true “pick up the message at my secure portal” (a.k.a. “Escrow”) method; (2) encryption using PGP, and (3) encryption using S/MIME. It is even better when messages sent using one of these methods are also delivered over TLS. While these methods are more secure, they are also usually more “annoying.” It would be great if you could save the more-annoying stronger encryption for really sensitive messages, and use the transparent TLS encryption for everything else. Everything is encrypted, some things are just better encrypted than others. Account default encrypts everything using at least TLS-Only. Additionally, individual senders can opt for better encryption on a per-message basis. This has all of the advantages of regular “Opt In” without most of the risks and defects. Anyone using the old style Opt In Encryption scheme with another provider should re-consider their Risk Analysis. At minimum, all messages are sent with transport encryption. In addition, senders can selectively send sensitive messages with better encryption which include both transport and at-rest encryption, as well as an additional layer of TLS in some cases. A mistake or oversight on the part of the sender never results in a message being sent insecurely — it is not an automatic breach. Account administrators can also choose to allow senders to “Opt Out” of encryption altogether, if needed. With the vast majority of email providers supporting TLS these days, most messages can be secured at a basic level without imposing any kind of burden on the recipient. When sending to recipients using systems that do not support high quality TLS, LuxSci will automatically use some other, stronger, encryption scheme unless the sender has explicitly opted out of encryption by denoting the message as nonsensitive. The need for such a thing will continue to diminish over time as everyone else catches up and starts supporting TLS. Note: if TLS-Only encryption is not desired by your organization, LuxSci allows you to disable it and use only the more secure options for all secured messages. Does your secure email system ensure that every message is encrypted, no matter what? Are you protected from being in breach due to mistake or oversight? Do you have the option to select stronger encryption methods for the recipients of your email messages “on demand” from WebMail or any email program or device (no plugins needed)? If the answer to any of those questions is “No” … maybe its time to try LuxSci. This entry was posted on Friday, September 11th, 2015 at 12:50 pm	and is filed under LuxSci Library: HIPAA, LuxSci Library: Security and Privacy. You can skip to the end and leave a response. Pinging is currently not allowed.